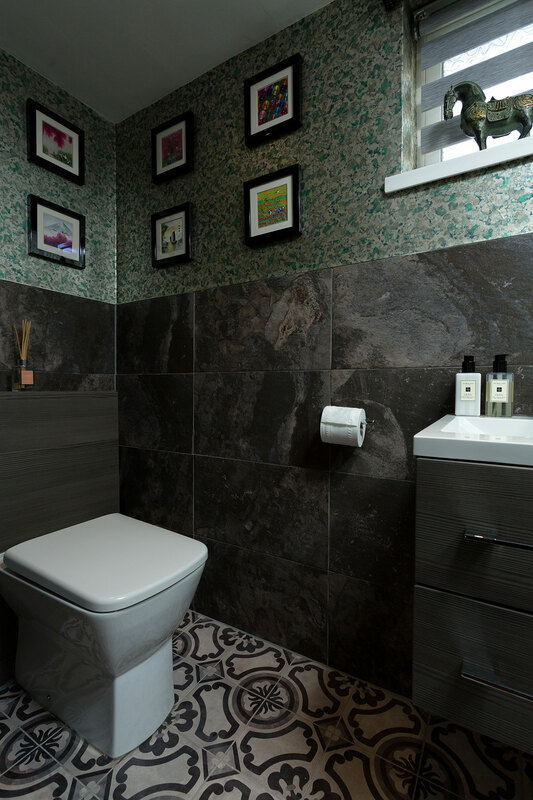 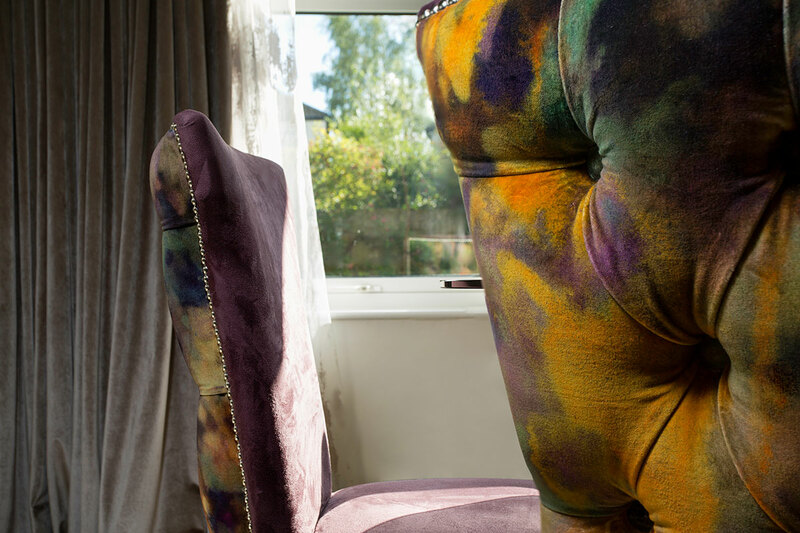 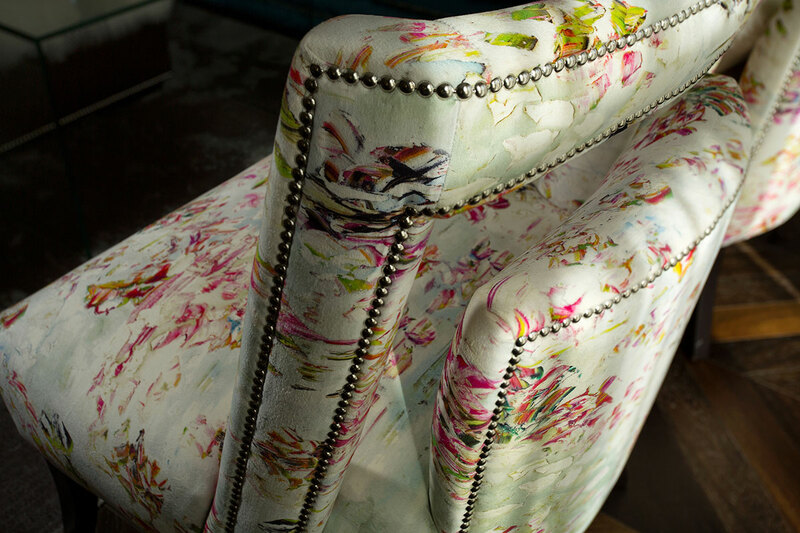 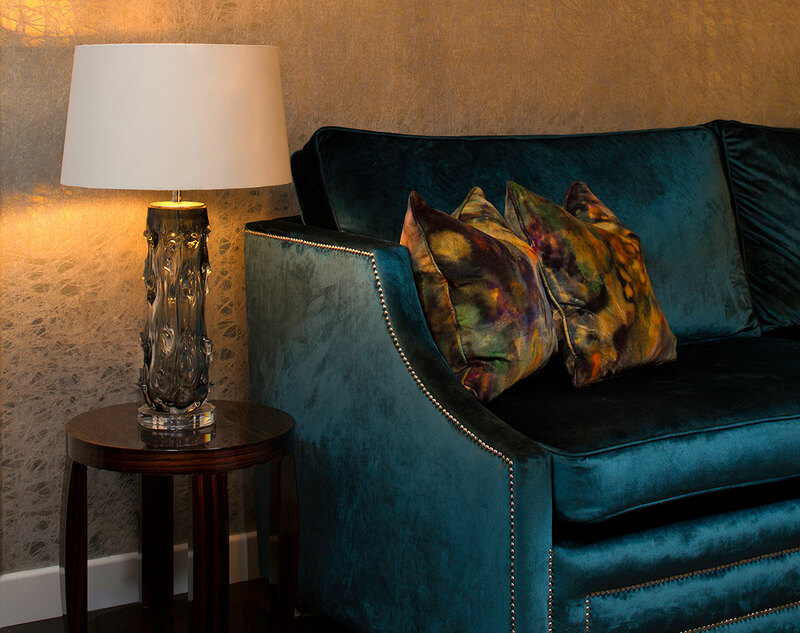 Luxurious fabrics, wallpapers, lighting and accessories were sourced from around Europe and the Far East but most of the furniture was handcrafted from our highly skilled upholsterers and cabinet makers based in Yorkshire. 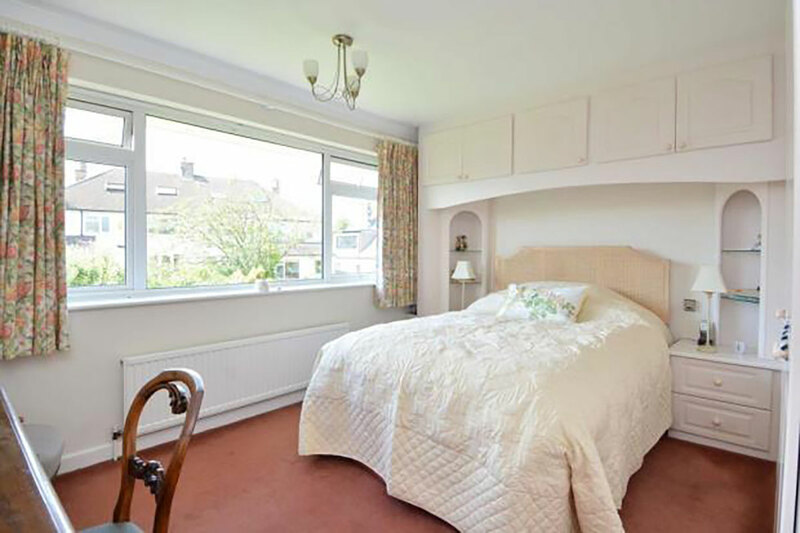 The clients required removal of all old fitted furniture, carpets and tiles. 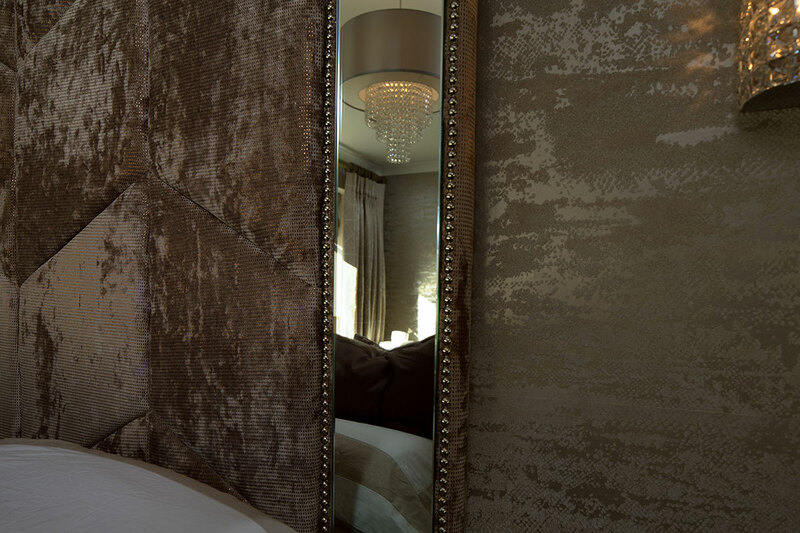 Electrics had to be updated throughout the house with dimmer systems, new spotlights and feature chandeliers. 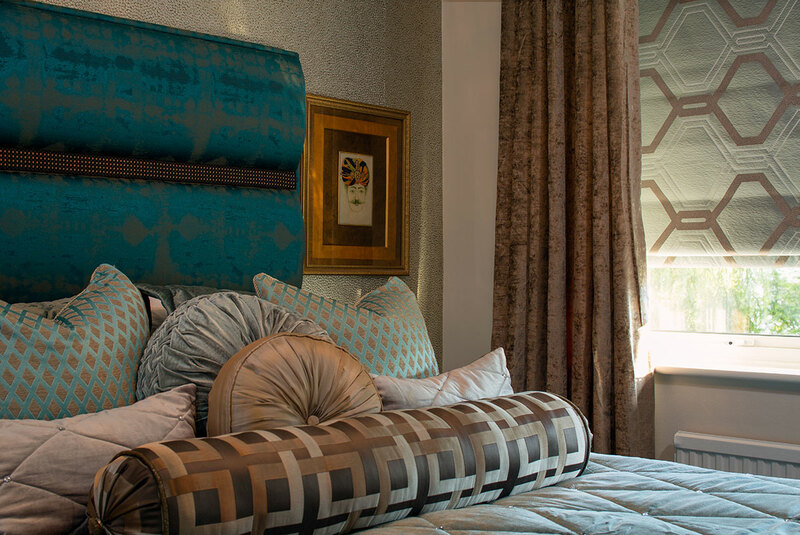 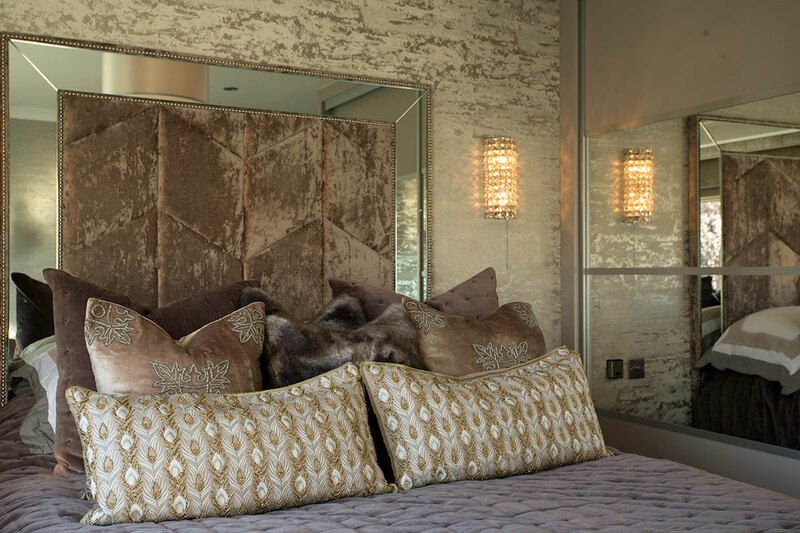 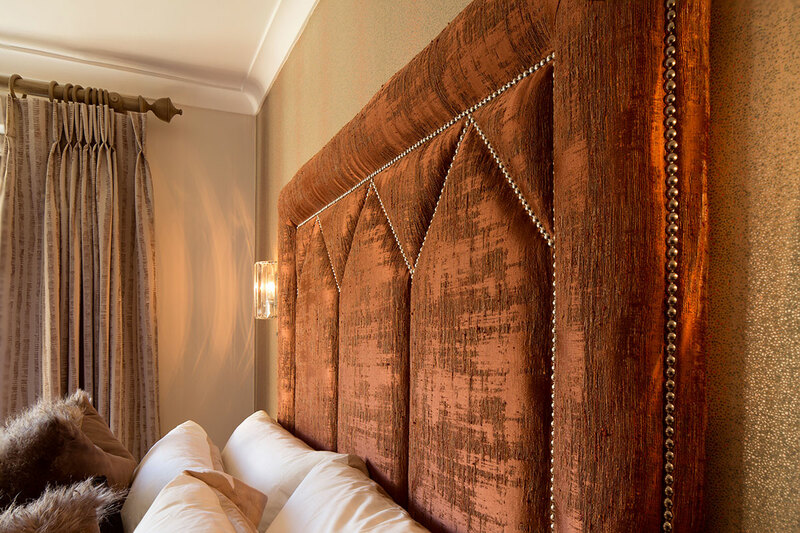 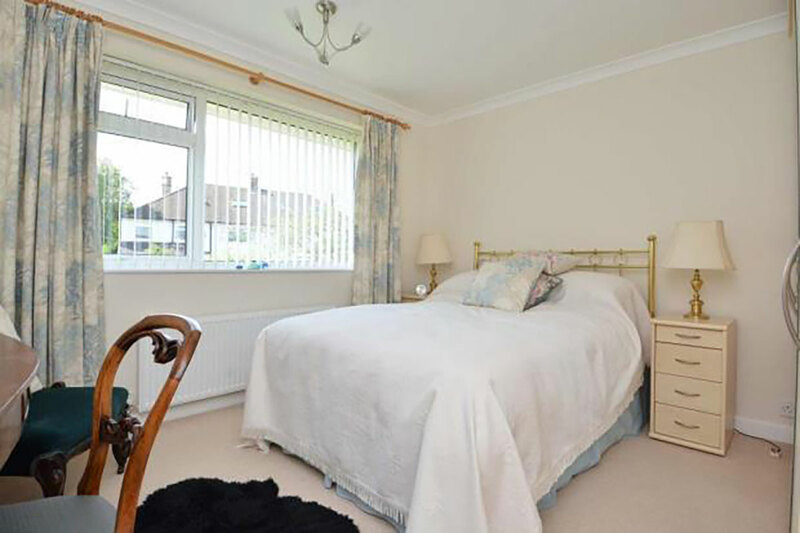 Bespoke headboards and furniture was designed for the bedrooms, living room and dining room. 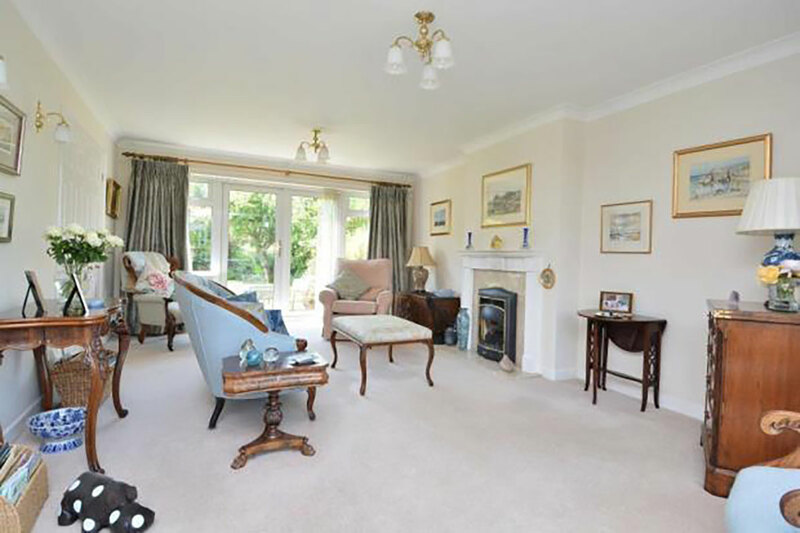 New herringbone fumed oak parquet flooring was fitted throughout the entrance, dining and living room areas, which helped achieve the timeless glamour throughout the home. 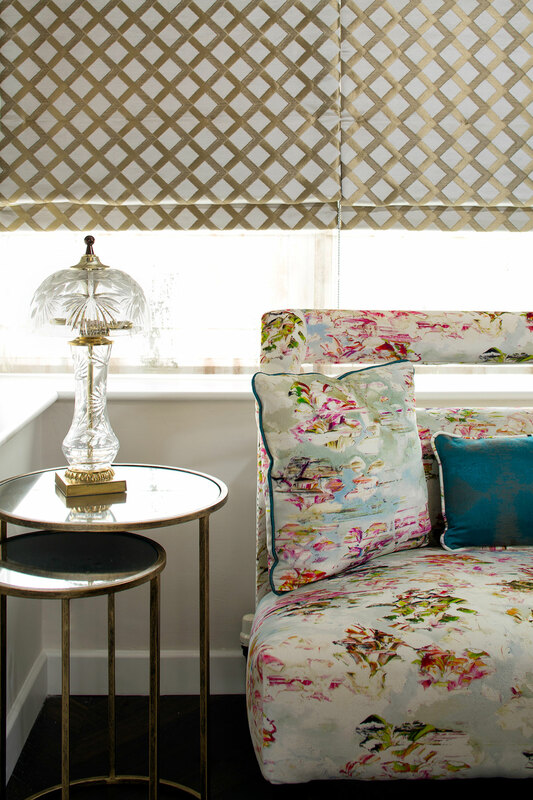 The living room was adorned with silk curtains and textured wallpapers. 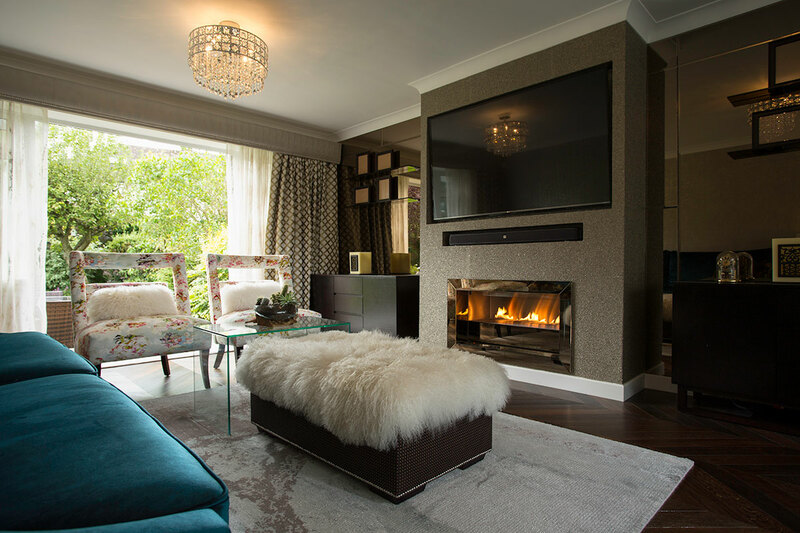 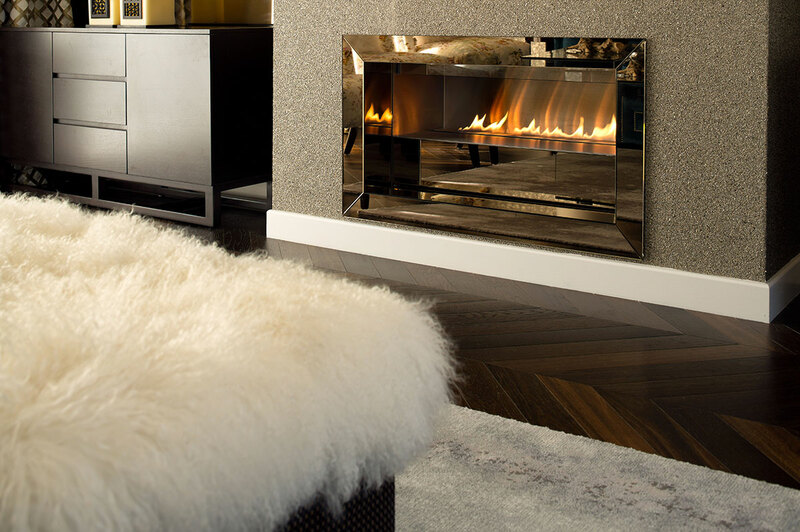 Custom made bronzed mirrors reflected the beautiful garden and the remote controlled gas fireplace created the cosy and calm space perfect for our clients.